Every month I’m keeping you posted about my favorite new food products. This month it’s time for the first new products of January. All products listed below are tried and tested by me. Have a look and see if there’s anything you haven’t heard of yet! 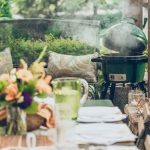 You might know the Scandinavian brand Søstrene Grene from one of their many shops across Europe. 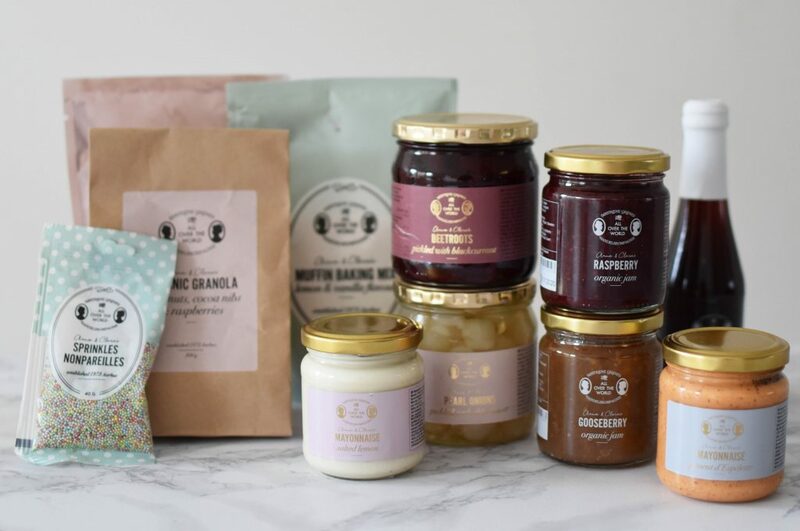 Søstrene Grene (originally from Denmark) has been selling interior design items for years, but now they’ve also launched a food collection. 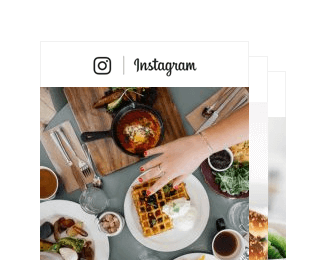 The new collection consists of a wide variety of specialties that are mostly focussed on dishes to share with your friends and family. Their lemon mayonaise with salted lemons from Morocco is delicious and I’m already looking forward to making cupcakes with their mix and sprinkles. 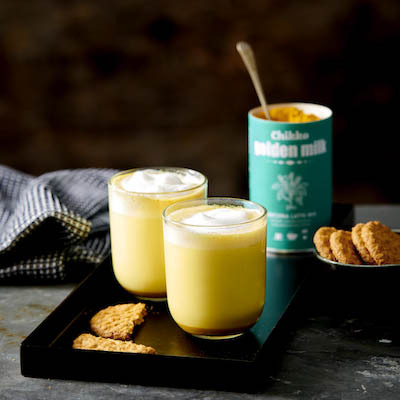 Golden Milk is a healthy drink from India made with turmeric and (plant based) milk. You might know Golden Milk with the name Kurkuma Latte. There are many health benefits from turmeric; it’s high in anti-oxidants, helps with your digestion and it has a calming effect. You can make your own Golden Milk but it’s time consuming and not that easy. The new Chikko Golden Milk is perfect for when you’re short on time. 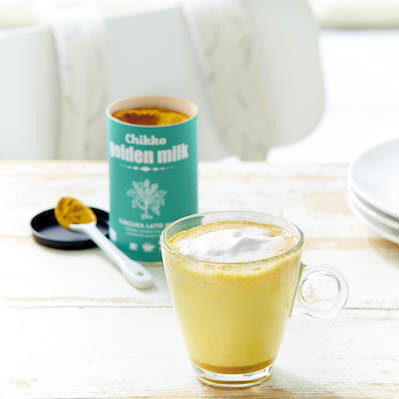 The Golden Milk mix is 100% organic and contains turmeric, cinnamon, ginger, cardemom and black pepper. 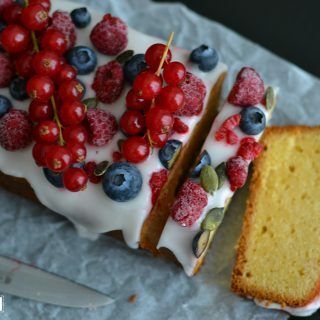 It doesn’t contain anything else, no milk powders, sugars or any other addetives. Just warm up your favorite (plant based) milk and stir in the Golden Milk mixture for your own kurkuma latte. You can make about 50 cups from 1 package and it’s for sale at Ekoplaza, Marqt, Holland & Barrett in the Netherlands and Internationally at not-coffee.com. 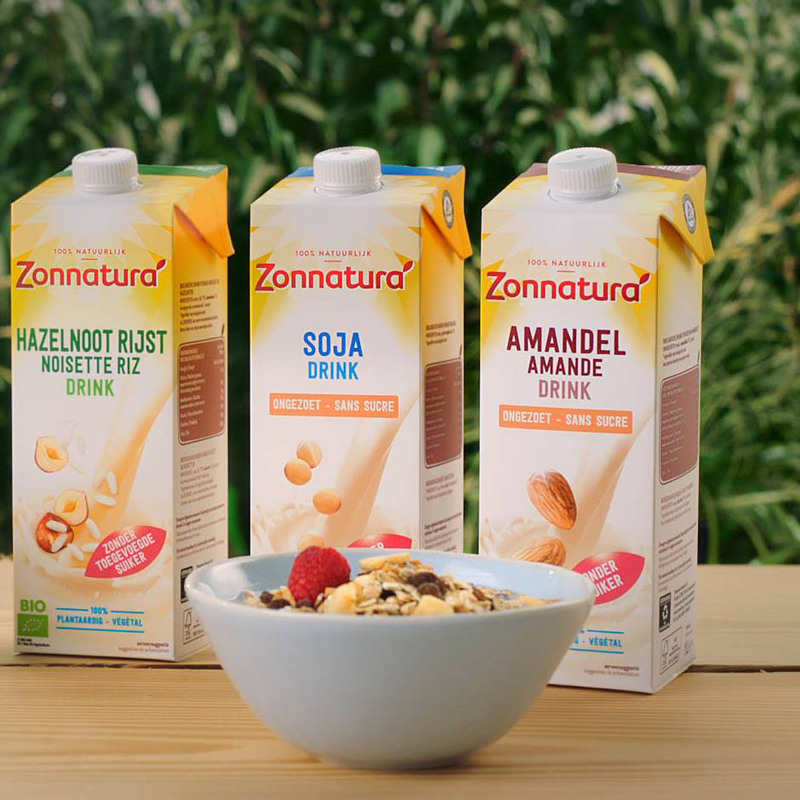 Zonnatura has launched a whole range of plant-based milks. They have no less than 5 new flavors. What makes these vegan milks so special is that they’re all organic and none of them contain added sugars. 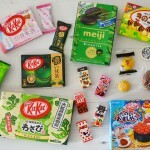 The 5 flavors are almond, hazelnut-rice, soy, coconut-rice and spelt. Although the biscuits from Jules DeStrooper are far from new, they actually have been around since 1886, but they’ve just redesigned all their packages. 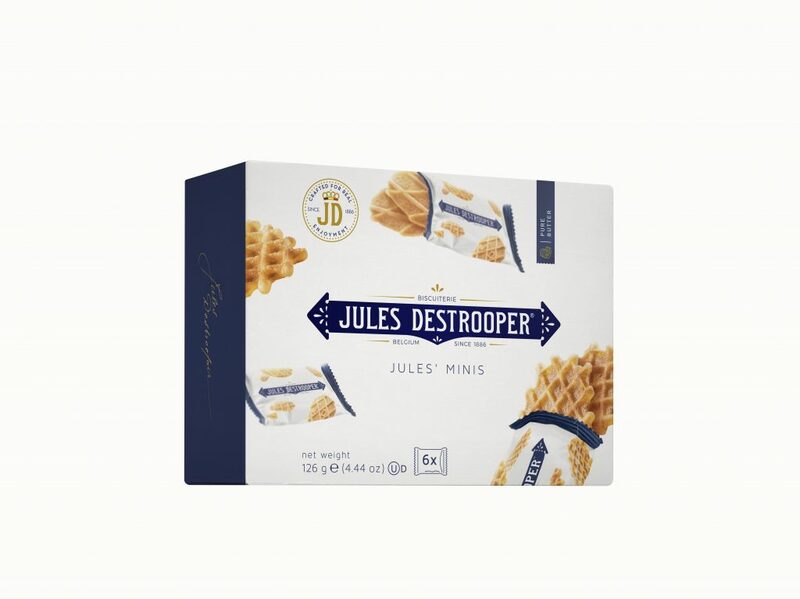 Jules DeStrooper is a Belgium brand that produces 18 kinds of biscuits and are probably most famous for their butter waffles. The biscuits are made from 100% natural ingredients so there are no preservatives or artificial coloring or flavors. The packages of Jules DeStrooper have a new design. The kept the recognizable blue and white colors but have a modern and light new design. They also now have portion packages with mini biscuits. Perfect to take with you! 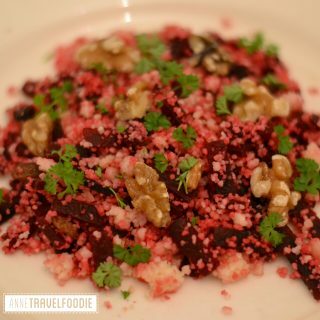 The new book Guided by Food, is a book like I could have written it. 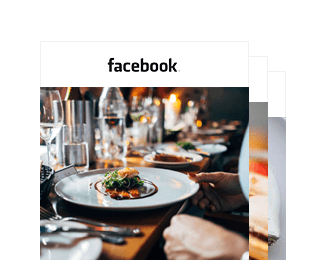 It’s a culinary travel guide that takes you to the best food spots of some of the best food destinations. 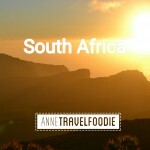 From The Pot Luck Club in Cape Town to Miznon in Tel Aviv. 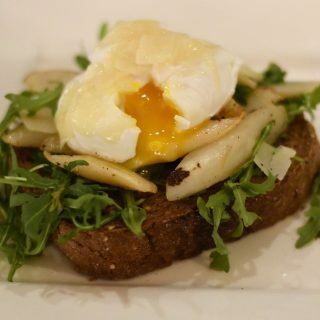 From the best coffee spots of San Francisco to the Mercado da Ribeiro in Lisbon. Just like I do on this website, the book tells you where to go in each of the listed cities. I already have a trip to Tel Aviv planned so I’m definitely going to read that chapter! 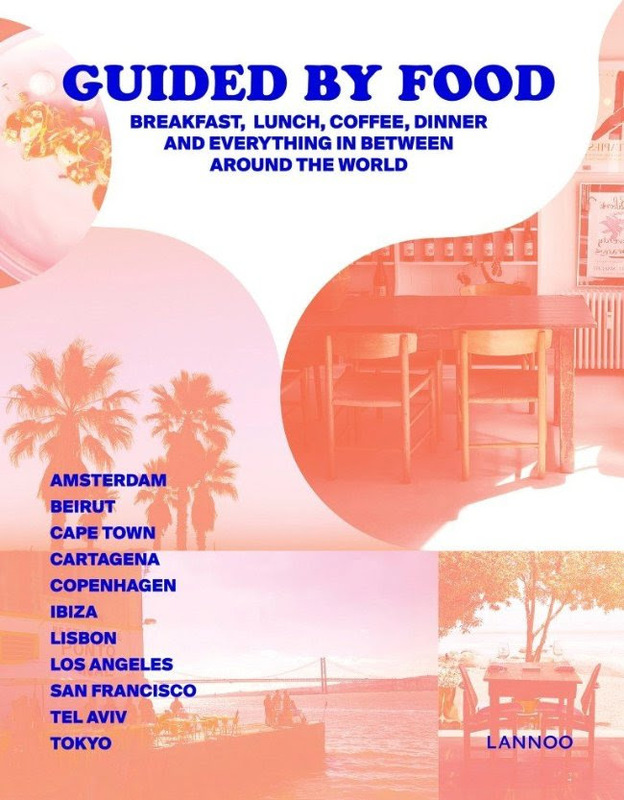 The book is in English and you can order Guided by Food here. 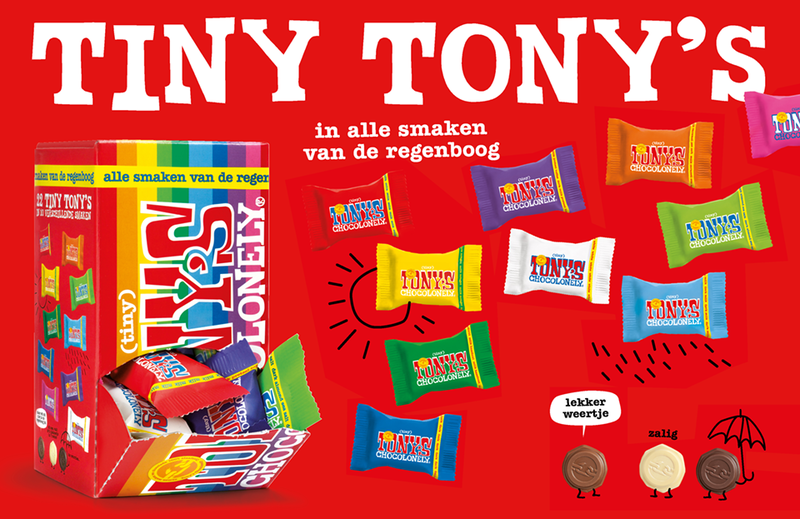 One of my favorite chocolate brands, Tony’s Chocolonely, has come up with something new this month: Tiny Tony’s. The name Tiny Tony’s used to refer to small square chocolates that you could get with your coffee and tea in some restaurants. They were available in the dark and milk chocolate flavors. The new Tiny Tony’s are round and come in no less than 10 different flavors! 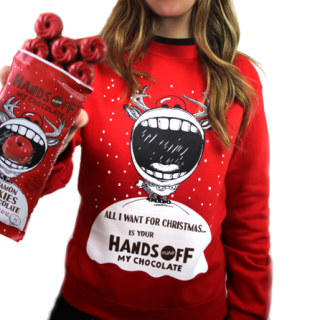 Included are with chocolate, milk chocolate with hazelnuts and salted caramel. You can find the Tiny Tony’s in their webshop, Tony’s Store and several other shops like Jamin and Marqt. 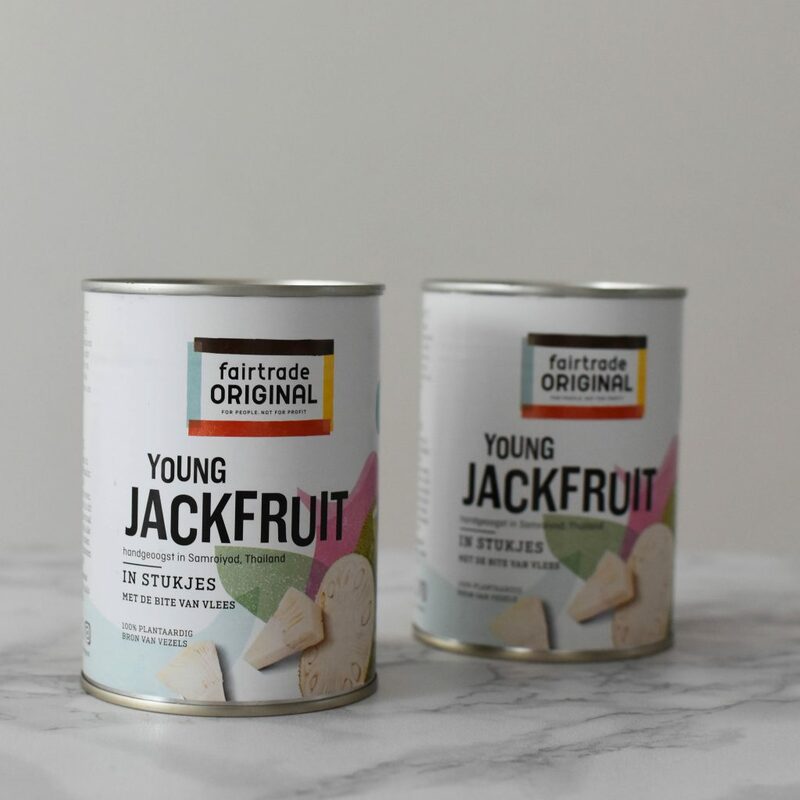 Fairtrade Original has launched canned jackfruit. Jackfruit is a fruit that is very popular in Asia and is fairly new to the Netherlands. Jackfruit is perfect as a meat replacement as it has the same texture. You can make a vegan pulled ‘pork’ dish by marinating this canned jackfruit with barbecue sauce.